Abstract: Water experiments were carried out for fluid structure interaction aspects of non-isothermal mixing in a T-junction which is part of a new test facility. 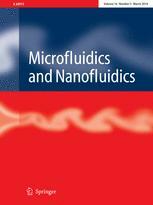 The main subject of this paper is firstly to present the new facility and secondly, to demonstrate the Near-Wall LED-Induced-Fluorescence (NWLED-IF) technique, which is a new experimental method for studying fluid–structure interaction under conditions similar to those in LWR. The Fluid–Structure-Interaction-Setup is a closed-loop T-junction facility with a design pressure of 75 bar and a maximum temperature of 280 °C. The water streams are mixed in a horizontally aligned, sharp-edge, 90° T-junction. The forged T-junction is made of austenitic steel 1.4550 (X6 CrNiNb 18-10) with reduced carbon content in accordance with the German KTA 3201.1. It is equipped with 24 thermocouples (1 mm in diameter) in blind holes, which have a surface offset of 1–3 mm. The facility design comprises interchangeable modules, which can be arranged upstream or downstream of the T-junction. Two of these modules provide an optical access to the fluid by means of flanges and tubes made of glass. Additional experiments are conducted in an isothermal T-junction facility and at the Fluid–Structure Interaction Facility. It is demonstrated that the Near-Wall LED-Induced-Fluorescence technique is an image-based measurement method that provides spatially and temporally resolved information of the turbulent flow in the mixing region of the T-junction even under presence of high density differences. In all experiments a buoyancy-driven stratified flow is observed. The light fluid arranges itself on top of the denser which is characterized by a meander-like structure. The experiments are conducted under different fluid-mechanical boundary conditions, yet fluid patterns were similar and the stratification and the meander-like structures were captured by the Near-Wall LED-Induced-Fluorescence technique. The presented experiment is the first of its kind delivering flow information with a spatial and temporal resolution useful to assess even small turbulent structures within the thin near-wall layer. Kuschewski, M.; Kulenovic, R.; Laurien, E.